In recent months, we are seeing what may be a new emerging trend in the mix of distressed homes sales (foreclosures and short sales) versus non distressed sales. Distressed home sales have had an impact on the Arizona housing market. Foreclosure and short sale properties tend to sell for less than traditional home sales, which can create downward pressure on properties values in surrounding areas, and even trigger more distressed situations. From a buyer’s standpoint, the lower pricing of distressed properties can be attractive, though purchasing a distressed home can be a more complex and longer process. 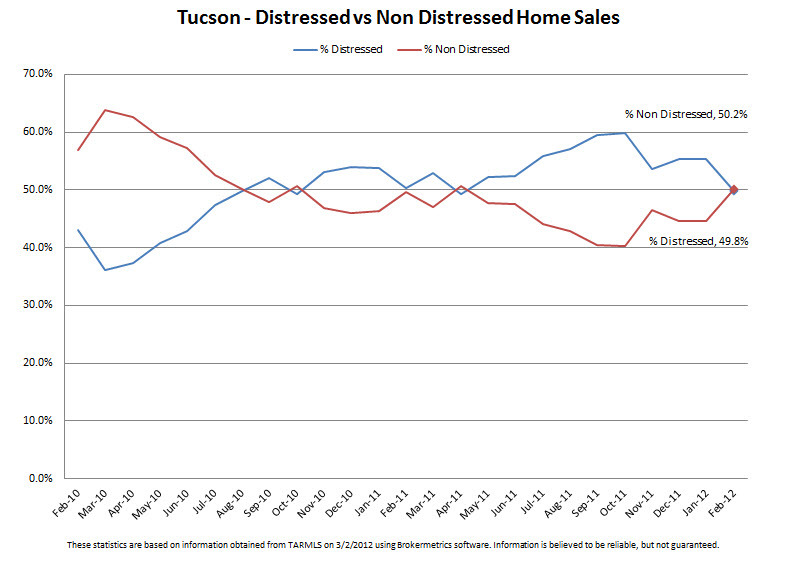 Here are trends for distressed vs non-distressed residential property sales in the respective MLS systems for both Tucson and Phoenix. In both market areas we have seen a recent change where, after peaking in 2011, there are now a lower percentage of sales that are distressed and a growing percentage non-distressed. It is a little too early to tell 100%, but the data above seems to indicate that we are seeing a shift in the Arizona marketplace with a greater percentage of residential transactions being non-distressed sales, with conditions in place for this trend to continue. If so, it would be good news for the continued improvement of local housing including price stabilization and appreciation. 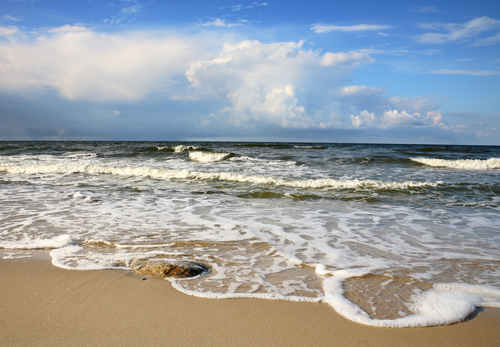 Share the post "Is the Tide of Distressed Home Sales in Arizona Changing?" This entry was posted in Housing Market, Uncategorized and tagged arizona, foreclosure, Phoenix, Real Estate, Short Sale, tucson. Bookmark the permalink. 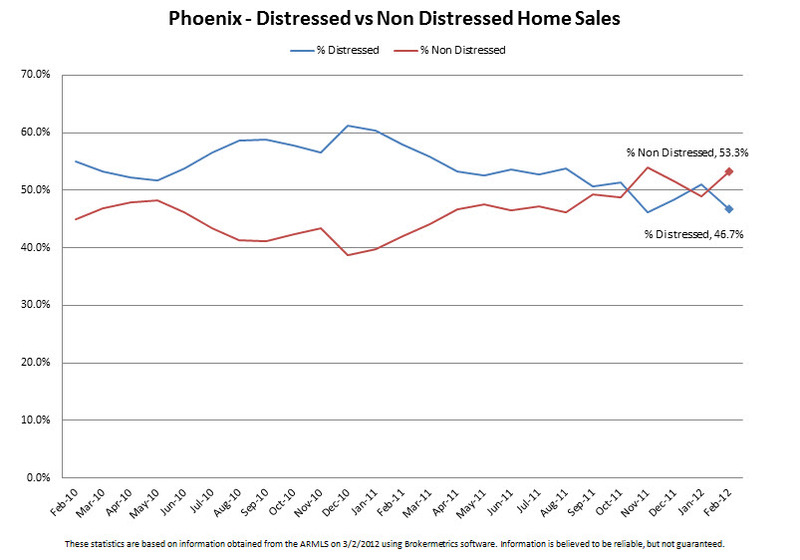 2 Responses to Is the Tide of Distressed Home Sales in Arizona Changing? Lets not forget the shadow inventory (backlog of foreclosures) that will be coming out this year caused by the banks robo-signing.